I recently received an e-mail from a reader who inquired about the scientific evidence surrounding a popular homeopathic remedy known as Arnica montana. In order to answer this inquiry, I first need to address the issue of homeopathy in general. Homeopathy is a controversial holistic treatment that centers around the theory that “like cures like” – an admittedly unconventional view. Homeopathic remedies are also fodder for vigorous debate in the scientific community because they contain extremely diluted amounts of medicinal elements. In essence, the underpinning theory is that the lower the dosage, the more potent the effect. This claim goes against the generally accepted laws of chemistry and physics. Nevertheless, many consumers and select physicians are stalwart supporters of this esoteric practice. In the interest of full disclosure, I need to admit that I have a difficult time accepting the principles espoused by proponents of homeopathy. At the same time, I’m willing to follow the chain of evidence wherever it leads. I’ve encountered too many positive anecdotes from reliable sources to simply dismiss this alternative therapy. It’s also important to keep in mind that, if nothing else, homeopathy is typically believed to have a low potential of adverse effects. Couple that with the very real possibility of a placebo-effect and I think you have a novel option that should not be dismissed out of hand. The only reasonable way to evaluate homeopathy in an objective manner is to get right down to the science that refutes and supports its use. 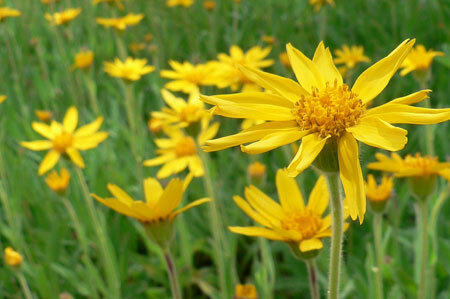 Over the past 20 years or so, there have been numerous studies both pro and con on oral and topical arnica. Below, you’ll find a listing of the major trials that I found while researching the topic. It’s unlikely that many detractors or supporters of homeopathy will make a point of bringing to light studies that conflict with their own perspective. But I want you to have both sides of the story. So rather than offering you my personal opinion about arnica, I invite you to come to your own conclusion – based on the facts. Please keep in mind that you should always consider differences in dosage, potency and types of arnica used in the studies I’ve cited. My only suggestion is that if you decide to try an arnica remedy, consider selecting a product that has at least some evidence to back it up. By doing so, you’ll be making a more informed decision and possibly increasing the likelihood that you’ll find similar positive results. arnica was my permanently companion the days since my wisdom tooth left me. I took C30 before and after the op and used a 10% arnica ointment on the outside of my cheek. It helps a lot! My hubby swears by the arnica ointment (its from WELEDA) especially for blue marks after sports. As i said before my dentist thought my cheek would be more swollen and more blue than it is, never got blue only a little yellow-greenish. Two days after the oral surgery my face wasn’t swollen anymore. I can highly recommend Arnica for the homeopathic medicine chest. I studied Homeopathy for many years before I became a “proper” Nurse. In basic training, people used to line up at my bunk for a daily dose of Arnica! get Arnica to help with bruising, aches and pains. Of course, nothing beats good old Morphine, eh? Which still comes from a flower! Thank you for sharing that, Nina! Your feedback is always of great interest and value! Thank you for relaying your experience, Anne! Very interesting indeed! Part of the reason I wanted to address the issue of Arnica is precisely because I know how popular it is. It’s definitely a best seller and I know many people absolutely swear by it! I appreciate your insight and support as always! I agree that we should consider and examine the differences between the various arnica preparations. Not all arnica is created equal. Another very informative article. Thanks for the time and effort. Gives me a lot to consider!! I hope you and your doctor find the right balance between conventional and natural pain relief. I’m happy to know it was helpful! Unfortunately, that’s always an issue we must consider.